Kawasaki Z1000 is really good looking superbike which everyone has dreamed of. What if you have a standard commuter bike or some mid level bike. You can also make your bike to look like Kawasaki Z1000. Today we are showing you how Mahindra mojo 300 is converted into a Kawasaki inspired bike. 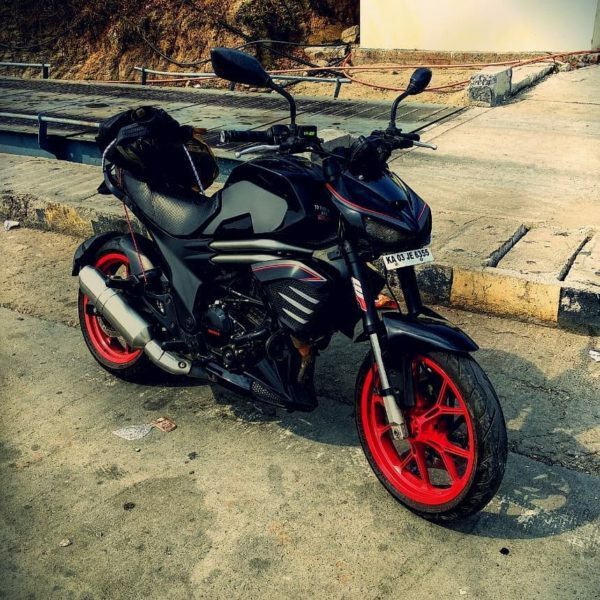 Earlier we have seen Pulsar NS200 was modified as Kawasaki Z1000. You can read it here. The bike got sharper face and muscular tank. It also got a new telescopic front fork. Painted with black and red for detailing. Radiator is covered with plastic cladding. This image is from iamabikedotcom. If you like this bike you can comment below.